TRAVEL.org - New Hampshire. 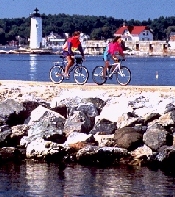 Find hotels in New Hampshire, and other travel info. Residence Inn Nashua Merrimack - Discover one of the most convenient Merrimack, NH hotels: Residence Inn Nashua Merrimack. With suites that are 50% larger than normal guest rooms & luxury bedding, our hotel offers the perfect blend of comfort & sophistication. Lake Winnipesaukee Vacation Rentals - Ski Vacation Homes, Cabins, Chalet Rentals in Lake Winnipesaukee, New Hampshire. Professionally Managed Vacation Rental Accommodations. Holiday Inn - Salem - This full-service hotel features relaxing accommodations in New Hampshire, Concord near area attractions, such as Lake Canobie Park and Rockingham Racetrack. Hotel is located near golf courses, Manchester Airport and offers several packages and specials. Holiday Inn Express - Keene - Surround yourself in relaxed luxury and exceptional hospitality at the Holiday Inn Express – Keene, a pet friendly hotel in New Hampshire. Hike nearby Mt. Monadnock, experience breathtaking mountain views and fall foliage, and discover the historic sites. Anchorage At the Lake - Thirty-five acres of beautiful countryside located in New Hampshire’s Lakes Region is the sensational setting of Anchorage at the Lake, a family-friendly collection of quaint cottages featuring waterfront views, screened-in porches and an abundance of recreational activities. Comfort Inn - Concord - Spend your vacation in historic downtown Concord, New Hampshire with pet friendly accommodations, valued hotel amenities and b&b lodging style at the Comfort Inn Concord near Lake Winnipesaukee. Hampton Inn - Littleton - Discover white mountain hotel with value accommodations featuring numerous specials and packages. Located near major ski and golf resorts, amusement parks, scenic attractions and more. White Mountains Server Info on the mountains, trails, huts, shelters, etc of the White Mountains in New Hampshire.